The very first SCORE race of the season is the Laughlin Desert Challenge this weekend in Laughlin, Nevada. 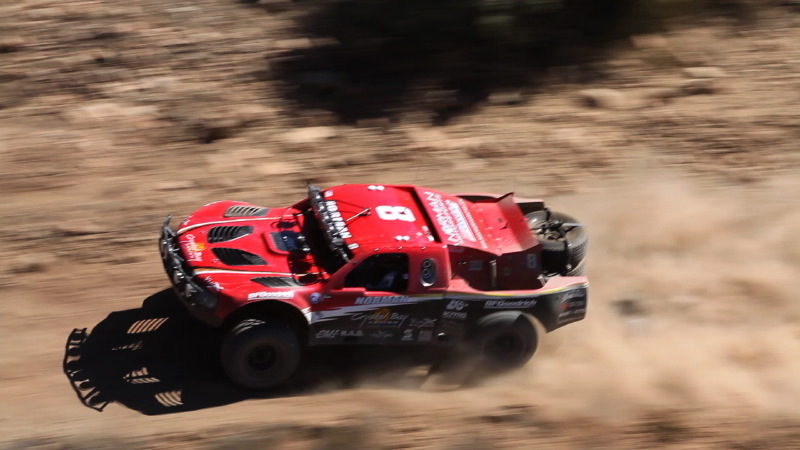 “I see this race as harder to finish than the Baja 1000 because it is a rough 6.25 mile course that tears up the equipment very easily and we barley have time to change a flat, much less fix anything,” commented Norman. Norman will be 15th to qualify on Friday for starting position, 29 Trophy Trucks are currently entered. Jake Velasco, recently named Norman Motorsports Team Manager, will be co-driving with Norman to assist with quick and immediate fixes on the truck. Also in 2011, Roger Norman will add to his repertoire of off-road racing competing in the W.E. Rock West Series with the Torchmate Racing Team. He will participate in the Griffin King of the Hammers and the Stampede Ultra4 races. Norman will make multiple appearances at additional races and trade shows, and host multiple fundraising and safety related events at the Norman Motorsports shop in El Cajon, CA.